This article would be about the competing policies of Russia and the EU towards their shared neighborhood: Eastern Europe. Thereby recent efforts will be outlined of the two regional powers in including countries such as Armenia, Georgia, Moldova and the Ukraine into their respective spheres of influence. The main focus of Russian efforts and hence the policy instrument to increase influence in Russia’s neighborhood will be the Eurasia Union. Thereby, it will be discussed how Armenia suddenly decided to become a prime candidate for the Russia-led Eurasia Union – implying an unofficial break-off from realizing the negotiated Deep and Comprehensive Free Trade Agreement (DCFTA) between Armenia and the EU. On the other hand, the focus of EU efforts to increase influence in its neighborhood will be the Association Agreements (AA). Thereby, the article will take into consideration the recently concluded AA’s with Georgia, Moldova and the Ukraine. In addition to the underlying assumption that there is evident competition over Eastern Europe, the article aims to make the claim that recent activities by Russia in the Ukraine have intensified this process. Is there competition over the Eastern Europe region? July 17, 2014. A Malaysian airplane with 298 passengers flying from Amsterdam to Kuala Lumpur was shot down at an altitude of 10 kilometers above eastern Ukraine. It took a few minutes after several sources released the news, before heated discussions started about whether Russian or Ukrainian forces shot down the airplane. In the light of recent events in the Ukraine, every dramatic event in the region is linked to the struggle between EU-minded Ukrainian forces and Russia-minded forces. This article claims that the recent activities by Russia in the Ukraine and the European Union’s (EU) response to it, have underlined and brought to the surface an intensification of competing EU-Russia interests in their shared neighborhood with the EU: Eastern Europe. These competing policies will be outlined in this article. The main focus of Russian efforts and hence, the policy instrument to increase influence in Russia’s neighborhood has been the Russian-led Eurasia Union. Plans to establish an economic zone for former Soviet states were stalled for almost 20 years. That is, in 2010 Belarus, Kazakhstan, Russia established a Customs Union that they wish to see develop into a full-fledged Eurasian Economic Union (EEU) by January 2015. The Eurasia Union in its existence and further plans has resembled the development of the EU. 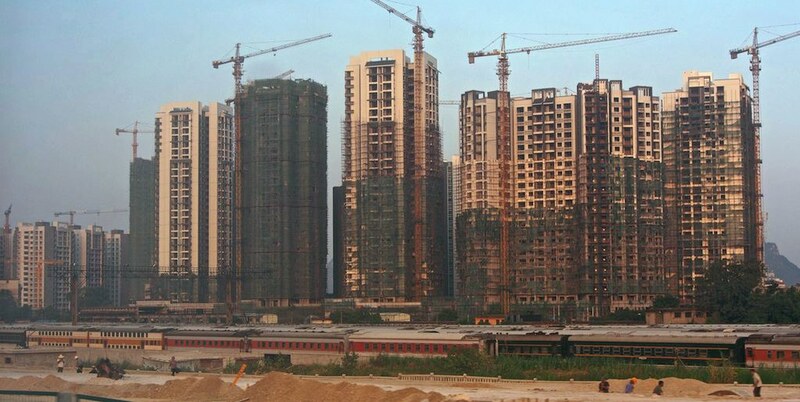 Plans in the near future are to deepen integration to ensure increased free movement of goods, streamlined trade regulation, and unified macroeconomic policy. Also, the EEU is bound to represent as much as 170 million individuals. Yet, if the desired scenario by its founders works out and all post-Soviet states excluding those which are part of the EU join the EEU, the EEU would comprise an area of 300 million individuals. In this way, the EEU would be a competition to the EU in terms of inhabitants. In addition to the size of the market, the EEU would in the ideal case scenario include more states of importance to the world’s energy market adding an extra dimension to the EEU. Adding Azerbaijan, Kazakhstan, and Turkmenistan’s energy markets to the Russian energy market would be disastrous for the EU’s already fragile position in the global energy market. This means that the EU is bordering an economic block that has aspirations to grow into a counterpart. The EU in contrast, has aimed to establish its own economic partnerships with countries from the Eastern region of its neighborhood. These attempts have been translated into so called Association Agreements (AAs). AA’s are bilateral cooperation frameworks between the EU and partner countries in the Union’s immediate neighborhood. Similarly to the EEU, AAs generally provide for the progressive liberalization of trade. In comparison to Belarusian and Kazakhstani support of the Russia-led EEU, the EU too has several states unhesitatingly expressing support for cooperation with the Union. In July 2014, Georgia and Moldova signed AAs with the Union, confirming a certain political and economic commitment and relationship with the EU. A less obvious dedication to the EU, was seen in the actions of the Ukraine government. One might remember that one of the sparks that escalated tensions in Eastern Europe was Ukraine’s sudden backing off from the planned signing of the Association Agreement. In March 2014, Yanukovich broke his promise to sign the AA under pressure from Russian President Putin, who promised more opportunities for the Ukraine if it would join the EEU. From Yankukovich’s siding with Russian interests, there were brewing tensions that have emphasized Russia’s interest in the Ukraine. It must be pointed out that after the ousting of Yanukovich, the new, relatively pro-EU Ukrainian President, did sign the long-standing AA eventually. Nonetheless the ties that the former Ukrainian government had with Russia were strongly illustrated by the withdrawal from signing the AA in the first place. Ukraine is not the only state that the EU and Russia have attempted to get on their respective side. Armenia, as one other post-Soviet state in the EU and Russia’s shared neighborhood experienced a similar turn of events under Russian persuasion. 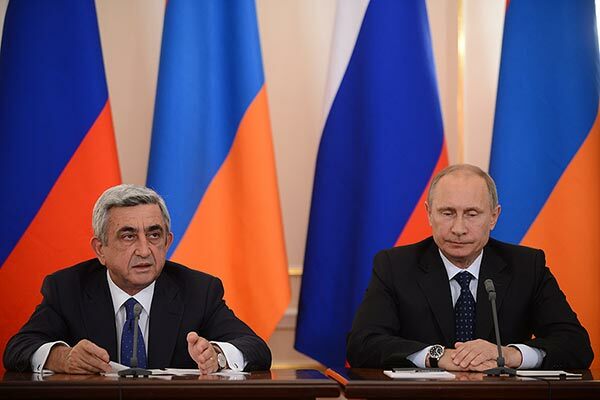 Russia has been Armenia’s major trade partner and energy supplier for many years now. As Russia’s financial capabilities have been growing, Russian financial and economic interests towards Armenia have grown, too. Yerevan has responded to this interest in a reciprocal way, allowing Moscow to control economic assets in its country. Further intensification of Armenia-Russia economic relations was illustrated in 2013, when Armenia put forward its candidacy to the economic Eurasia Union. The South Caucasus country and the EU had concluded talks on a Deep and Comprehensive Free Trade Agreement (DCFTA) as part of an AA in July 2013. The signing of the DCFTA would take place at a multilateral summit in November 2013. Yet, unexpectedly, Armenia decided to apply as a member of the Russia-led customs union in September 2013. It now meant that Armenia would be member to two conflicting Free Trade Agreements. Therefore, Armenia’s decision meant the unofficial break-off of the negotiated agreement to establish a DCFTA between the Armenia and the EU. Armenia’s “U-Turn”, as characterized by Sweden’s Foreign Minister Carl Bildt, signaled the strong influence by President Putin in another post-Soviet state. In conclusion, there is evident competition over Eastern Europe. While Armenian President Sarkisian, Kazakhstani President Nazarbayev and Belarusian President Lukashenko have sided with Putin, Moldova’s Prime Minister Leanca and Georgia’s Prime Minister Garibashvili have opted for economic and political cooperation with the EU. The story of Ukraine is most peculiar , and has been brought to the fore by recent tensions in Eastern Europe. On the one hand, Ukraine experienced the use of delegated force of the Russian-minded Ukrainian president Yanukovich against a large minority of pro-EU demonstrators in Kiev. On the other hand, pro-EU president of Ukraine, Poroshenko, opted for the EU for economic and political prospects. This caprice in the Ukraine’s policies stressed the presence of competing interests between the EU and Russia in Ukraine and potentially in their general shared neighborhood of Eastern Europe. Lia is an EU-politics enthusiast who was born and partly raised in Azerbaijan. She is Dutch by nationality and pursued her BA degree in European Studies at Maastricht University, the Netherlands. Lia expresses her EU fanaticism through participating and organizing political simulations of EU politics, of which the foremost has been her involvement in Model European Union Strasbourg. Within the EU’s policy domains, Lia is particularly passionate about EU Foreign Policy in Eastern Europe and the Caucasus. More specifically, she is interested in the EU’s role as a democracy promoter, economic partner and conflict mediator in Eastern Europe. Following from her interests, Lia is about to start the MA Conflict Studies at the University of Utrecht, the Netherlands.